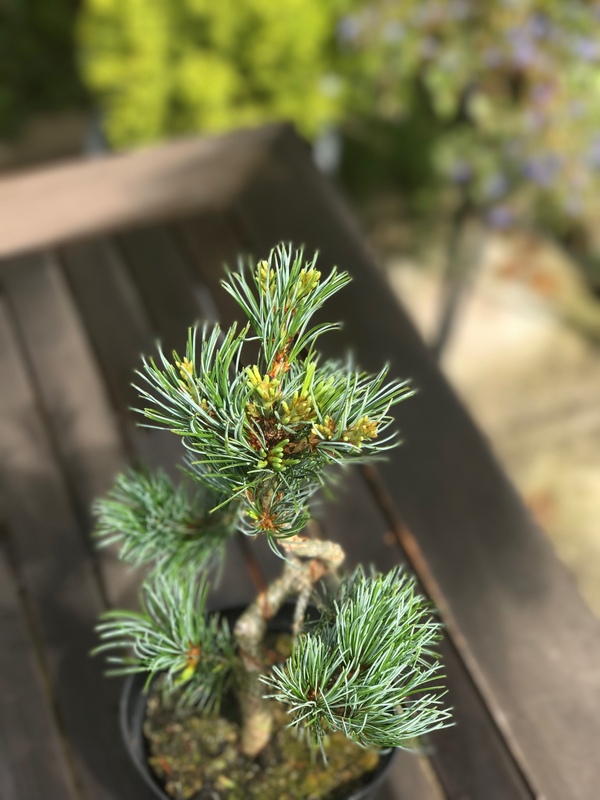 New JWP help needed please..
Basically it's has come in a small plastic pot and is planted in what looks like standard planting soil and not a proper bonsai mix..
My question is, would repotting into an akadama mix at this time of year be detrimental to the tree? Re: New JWP help needed please.. I would wait to repot until the spring. It's possible, but you'll be better off waiting. By about now the new foliage should be hardened. With JWP (and most 'white pines' for that matter) this is easily recognized by the dropping needle sheaths. Once this has happened the tree can be safely repotted. I notice that it is grafted and probably on JBP (p. thunbergii). Therefore, I suggest that you only wash out the potting soil on one side of the stem when you repot. Do the other half in the following season.